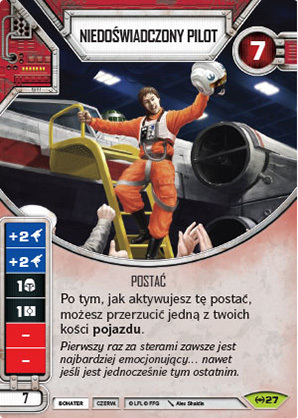 Postać - Pilot. Punkty: 7. Wytrzymałość: 7. After you activate this character, you may reroll one of your vehicle dice. The first time in the cockpit was always thrilling… even if it was the last.